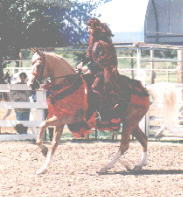 Marcher offers the the serious English Country Pleasure rider a national caliber Open Horse with the mind and talent to carry an AOTR/JTR rider to victory as well. 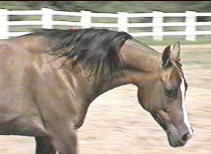 His abundant presence along with his extreme head and neck promise a winning halter career. The perfect package for the amateur with visions of roses in Louisville. 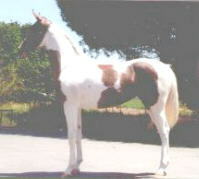 all SILK, complete horse's attire. 6 times, storage box included. 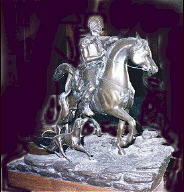 Robert Larum limited edition entitled "Hawking". 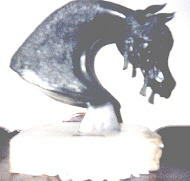 Kirsten Tollefson limited edition entitled "War Horse".